You might be wondering if it’s possible and how to make money without a job. You may already be working and not want to have to get a new job. Or you may be unemployed and are looking for ways to make some extra money online, without finding new employment. There are a few things you can do to start making money without having to go out and get a job or find new employment. Even though you won’t have to go out and find a job with a new employer, you will still have to work and put in the time and effort to start making money online or offline. In this post, we will take a look at a few options you have to start making money and generating an income. Starting a blog online is one popular way that people use to start making money without having go out and find a job. When you start your own blog, you decide on what topic or niche you want to write or blog about. You want to ensure that you do proper keyword research before writing posts on your blog, so you know what to write about and can rank your posts in the search engines. 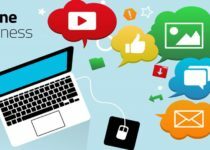 How can you make money from your blog? 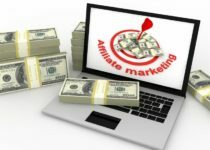 You can monetize your blog with paid ads, promoting affiliate offers, and selling your own products such as courses or eBooks. You will need to drive targeted traffic to your blog to ensure your blog posts are being read by an interested audience. With traffic and readers visiting your blog, you can continue to monetize it and make money from it. Starting an online store is popular for people who want to get involved in the field of eCommerce. Instead of opening up a traditional retail store and having to lease out a space, you can set up an online store with your own website. You have a few options for this. You can create an online store on a site such as eBay and sell your items on there. eBay already receives millions of visitors on a regular basis. People visit the site, search for what they are looking for, and purchase the items they want, which could very well be your items. You can also sell your items on Amazon, whether it be used or new items. Your other option is to set up your own website and sell your items on your site directly. You can start to develop your online presence this way. In eCommerce, you would need to decide on what types of products your business will be selling. You might want to sell electronics, clothes, games, houseware, or any other kinds of products. If you are selling products you are creating or already own, you can get started right away. If you need a product idea and aren’t sure what you should be selling in your online store, you would need a wholesale directory where you can search for products and suppliers. Yes, you can make money without a job doing online trading. Now, online trading does have a higher level of risk than other online businesses. It is recommended that you not invest any more money than you can afford to lose. You can trade crypto coins or cryptocurrency. There are a whole bunch of crypto coins out there to start trading. You can also trade foreign currencies or FOREX. If you don’t mind the risk, or are already involved in any kind of stock trading, this can be a good way to make money. App Developers are always looking for people to test out their new apps. App testing involves downloading the app, testing it, and writing a review. Apps vary and can include all kinds of apps such as games and productivity related apps. If you like using apps and wouldn’t mind giving out your opinion, this could be a viable option for you. Fiverr allows you to make money online by completing gigs. Gigs start at only $5, with additional addons and options from there. If you have skills in a certain area, you can post a gig on Fiverr to start making extra money. People are looking to have all types of gigs completed. If the gig can be completed from a computer, you will most likely find it on there. Selling Kindle eBooks has grown in popularity over the past few years. If you like to write, this is a way to make extra money online without having to find a job or new employment. There are Amazon Kindle eBooks for almost all kinds of subjects and topics out there. Since these are digital eBooks, there is really no limit to the number of books you can sell. Pick the topic you have knowledge in, along with what interests you, and start writing and publishing. If you like working with your hands and find yourself to be the creative type, you could look into woodworking. Woodworking isn’t just a hobby anymore. Many people are using the skill of woodworking to make extra money working from home, and are turning it into a real business. You can build wood crafts and start selling your unique creations. As you can see, there are several options you can take if you are looking to make money without a job. Now just because you won’t be working for someone, doesn’t mean you won’t have to put in the time and effort. If you like to write, starting a blog or selling Kindle eBooks could be a good option for you. Or if you like to trade, you might want to get involved with crypto or Forex trading. 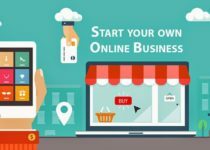 If you would like to have your own online store and sell products online, you might want to get involved with eCommerce. And if you would rather build things with your hands, you might even want to get into something like Woodworking. The choice is yours, and you can pick more than one option if you aren’t sure what will work best for you. Review the options listed above in this article and start implementing at least one of these.